DON’T MISS: “The 61st Annual Grammy Awards.” Of course, they’ll hand out plenty of shiny hardware on music’s biggest night, but it’s the performances we’ve come to truly anticipate. 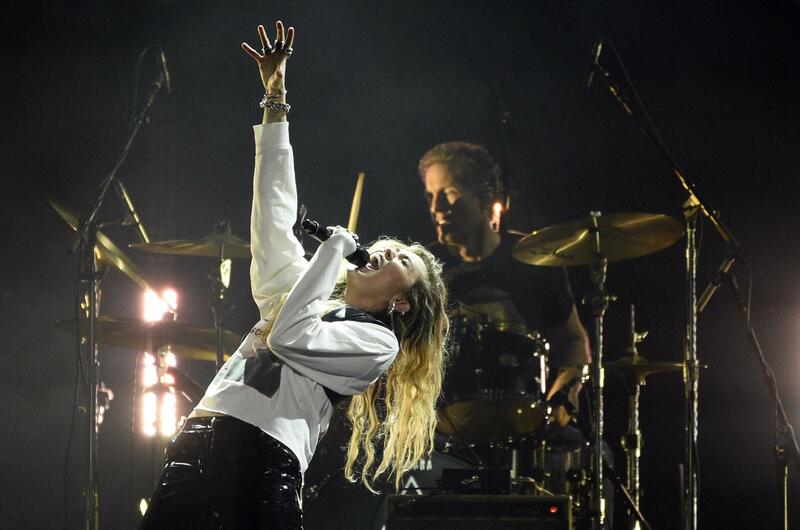 Among those scheduled to perform Sunday at Staples Center in Los Angeles are the Red Hot Chili Peppers, Brandi Carlile, Miley Cyrus, H.E.R., Camila Cabello, Cardi B, Dan + Shay, Post Malone, Shawn Mendes, Janelle Monae and Kacey Musgraves. Alicia Keys is our host. (5 p.m., CBS). SUNDAY: The “Walking Dead” launches the second half of Season 9. Our survivors – both old and new – are moving on without Rick, but still dealing with the fallout from events that happened during the six years that have passed. Also, new leaders rise when a disturbing and dangerous threat is unmasked. (9 p.m., AMC). MONDAY: The documentary series “Studio 54” recalls the wild days of the disco-era Manhattan nightclub that was a haven of hedonism, tolerance, glitz and glamor. The film tells the story of how Studio 54 became a raging success, only to fall victim to a financial scandal. (10 p.m., A&E). TUESDAY: “Boomerang” is a new comedy series from Lena Waithe and Halle Berry that picks up roughly 25 years after the film of the same name. Marketing professionals Bryson Broyer (Tequan Richmond) and Simone Graham (Tetona Jackson) look for ways to attain success while trying to renovate the legacy of their parents’ agency. (10 p.m., BET). TUESDAY: Can you picture Steve Buscemi as God? “Miracle Workers” is a heavenly workplace comedy in which Daniel Radcliffe plays a low-level angel responsible for handling all of humanity’s prayers. Unfortunately, his boss – God – has pretty much checked out and is ready to move on to his next project. (10:30 p.m., TBS). WEDNESDAY: Are you still riveted to the blast of TV weirdness known as “The Masked Singer”? For the first time, the remaining six celebrity singers merge into one big group and again perform anonymously. J.B. Smoove joins the fun as a guest panelist. (9 p.m., Fox). THURSDAY: Feeling romantic? Dean Cain hosts “The Top Greatest Valentine Movies of All Time,” a special that features some of the cinema’s best love stories, including “Sleepless in Seattle,” “Love Actually,” “Pretty Woman” and “The Notebook.” (8 p.m., The CW). FRIDAY: “The Umbrella Academy” is an offbeat superhero series that introduces its six principals as they reunite following the death of their wealthy adoptive father (Colm Feore). They all possess special powers and must come together to prevent a global apocalypse. (Netflix). FRIDAY: The new legal drama “Proven Innocent” follows a law firm led by Madeline Scott (Rachelle Lefevre) who, at 18, was wrongfully convicted of murder. Now, she works alongside the lawyer (Russell Hornsby) who helped set her free. Meanwhile, her archrival is a prosecutor (Kelsey Grammer) who initially put her away and still believes in her guilt. (9 p.m., Fox). SATURDAY: When Season 3 of “Ransom” begins, Eric and the Crisis Resolution team are brought in to negotiate a blood money payoff after a man is murdered and his wife is threatened to be next. (8 p.m., CBS).